Lorena Olivares was born on 1973 in Santiago de Chile. She studied at the Fine Arts Academy, Universidad de Chile. In 1997 she got her title as a sculptor. 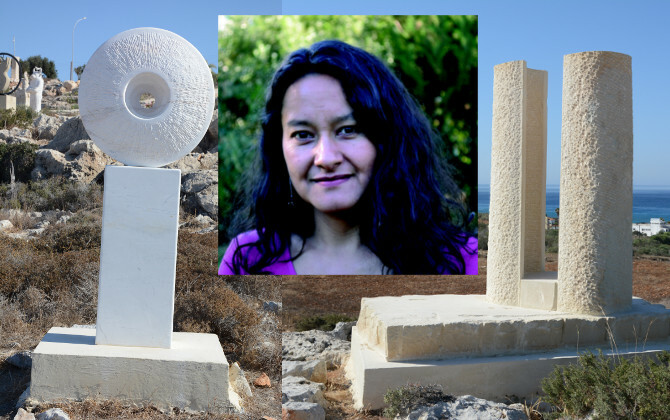 Her art work is mainly developed in two areas: large scale works related with the interaction between sculpture, landscape and viewer, and smaller and animist works. She has participated in many exhibitions and symposiums in different countries , Germany , Bolivia , Brazil , Italy , Chile , Argentina. Title of the project: "VITAL SPACE"
Concept: ‘Go in the inner space, feel the heart of the stone. The sculpture is a place, offers a space where people are invited to come and from there to perceive their own inner space. The stone is a material from a huge age, its solidity keeps information from thousands years, the experience of being inside the stone is an opportunity to connect with the ancestral wisdom that exists within ourselves and we have often forgotten’.